Snip off top-to-bottom slices all around the marshmallows, leaving a sticky core (which you can eat)-each wedge will have a sticky inside and a powdery outside. 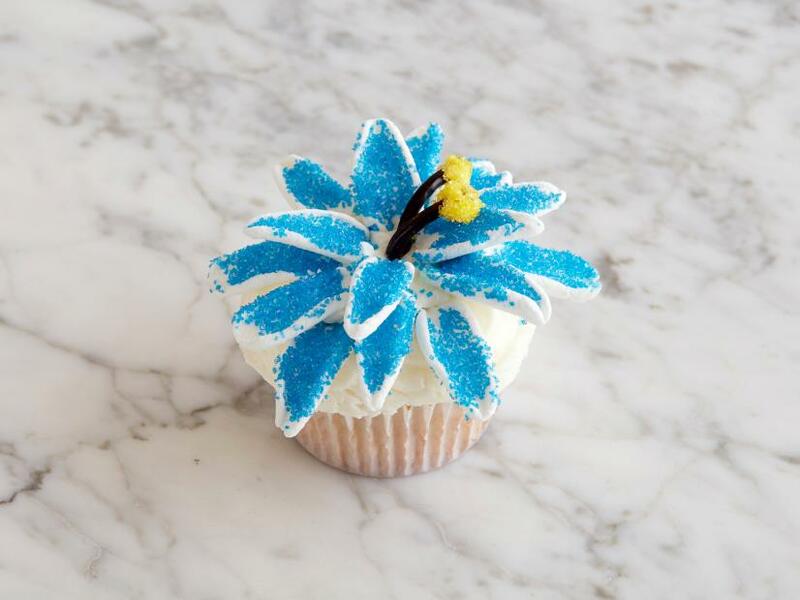 You should have about 15 petals. Press the sticky sides into the blue sanding sugar. 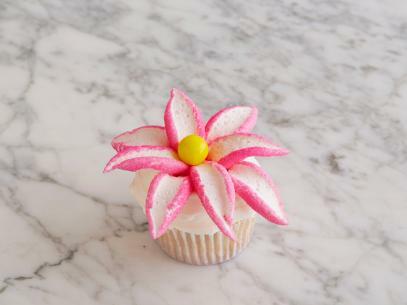 Arrange about 10 petals around the edge of the cupcake so that they extend slightly over the edge. Arrange the remaining petals in a second layer on top of the first. Cut 2 small pieces from the black licorice, dab some frosting on the ends and dip in the yellow sanding sugar. Stand it in the center of the flower.